British battery design, manufacture and supply expert, Lincad, will be exhibiting for the first time at the 2016 P4Health show on 13 July at the NEC in Birmingham. The Surrey-based company will be outlining its battery products and services that are employed across a range of public sector organisations including the NHS and the armed forces. Lincad already works closely with a number of customers in the medical sector, providing batteries for devices such as pagers and hearing aids, and larger batteries for specialist medical equipment, such as resuscitation machines and patient monitoring systems. It has several years of experience supplying batteries to NHS hospitals across the UK, including Surrey’s Frimley Park Hospital. 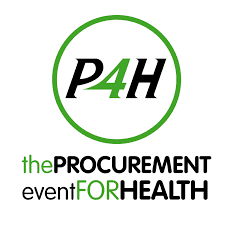 The P4Health show is considered the UK’s top procurement event supporting operational productivity across the NHS. The day will include more than 25 CPD procurement training sessions, seven keynote speakers and around 100 exhibitors. A dedicated buyers engagement village will bring buyers and suppliers together on site to strengthen relations and broker deals. Lincad can be found on stand 46.